Add a fiery design to fun maracas! 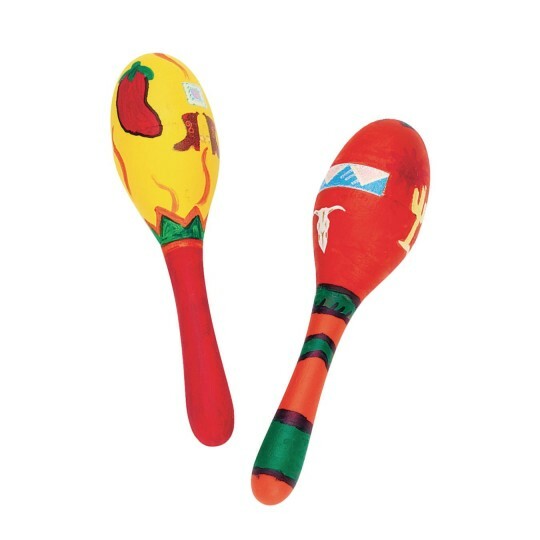 Add a fiery design to these fun maracas! They really work — shake to make a gentle rattle. Preassembled and unfinished. 4-1/2". Pack of 12. By laughin to much to hear it! We ordered these for our wedding in Mexico. All wood construction and perfect size for small favors. This will be an activity project for elderly Alzheimer's clients. The kids enjoyed decorating these with permanent markers. 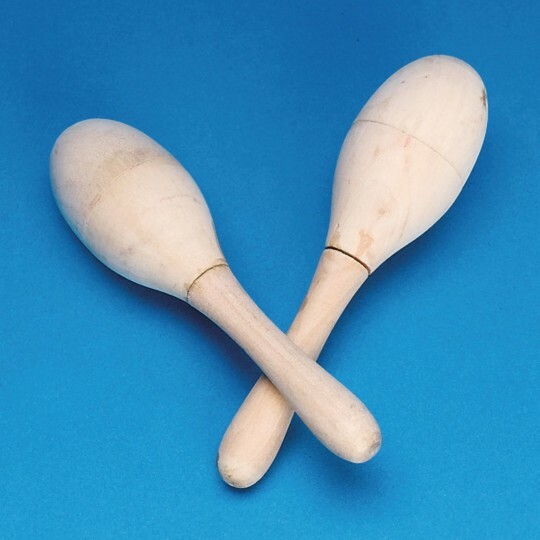 It would be cheaper and more of a learning experience if kids could make their own maracas form recycled materials. If you are short on time and need a quick project this is fine. Though small they took quite a while to decorate with permanent markers. Very quiet yet popular.